*REQUIRED FIELDS. 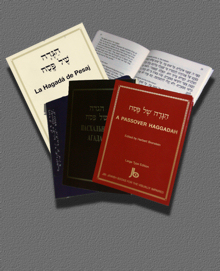 EACH VISUALLY IMPAIRED OF PHYSICALLY HANDICAPPED PERSON WHO REQUESTS A HAGGADAH MUST FULLY COMPLETE THE FORM. How did you hear about JBI’s free large print Haggadah?